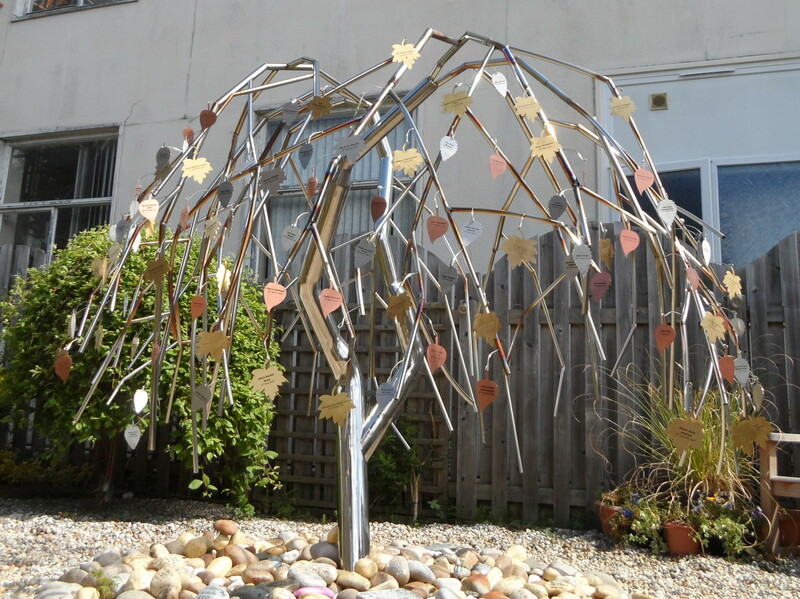 Back in May last year I was approached by a local charity – Ella’s Memory about commissioning a Stainless steel Memory tree to install at The Royal Cornwall Hospital. Ella’s Memory was a charity set up by Martyn and Emmillie Selley after suffering the tragic loss of their stillborn girl Ella. The great work they have done through the charity has seen a suite and garden in the hospital refurbished, to try and provide a more homely setting for any parents tragically suffering the loss of a stillborn baby. 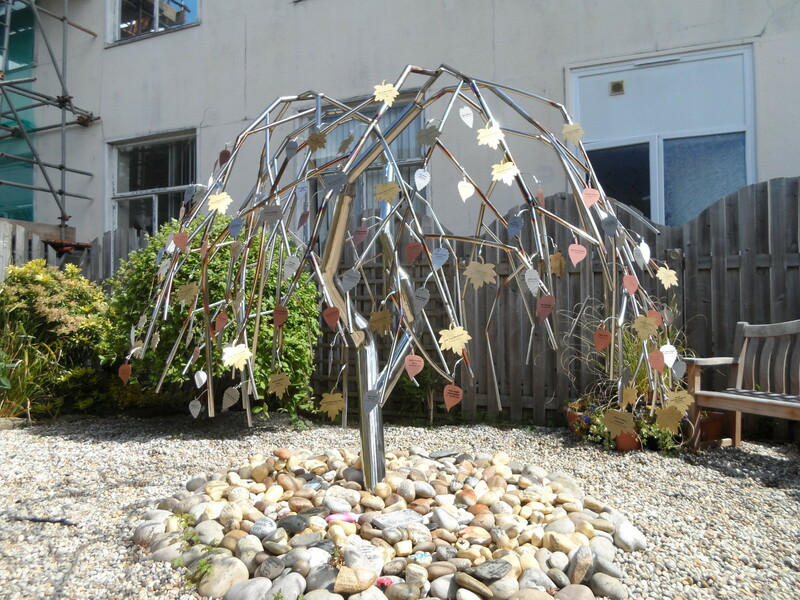 The tree was installed in October last year, shortly followed by a service where parents could request a leaf to hang on the tree in memory. Thanks go to Lasermaster of Redruth for the discounted supply of the leaves, also to Righton of Saltash for the discounted supply of Stainless steel.